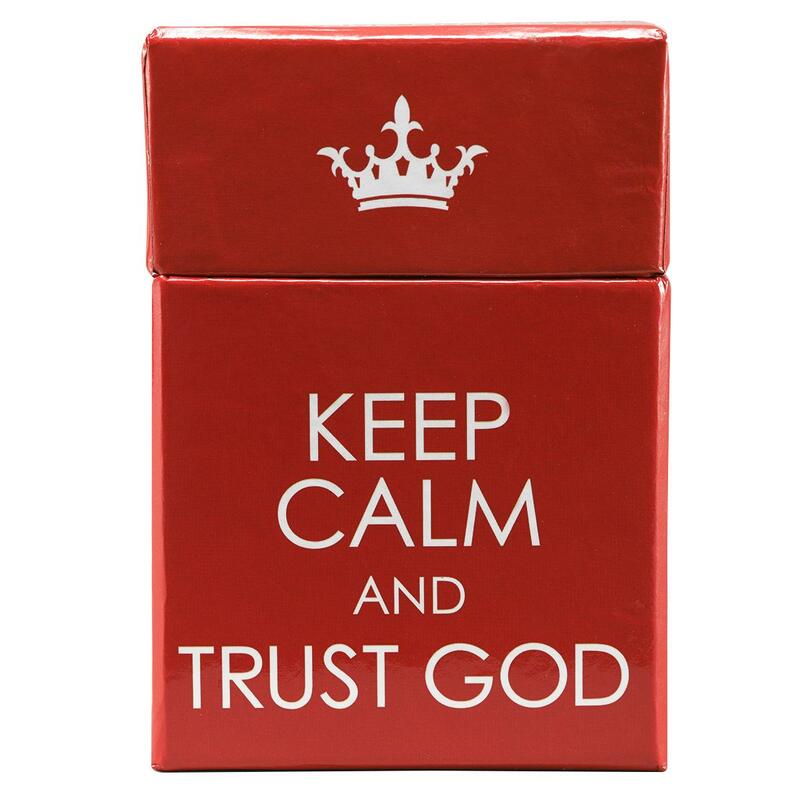 Introduced originally as a morale-booster to the British public in the face of WWII, the "Keep Calm" slogan has been used as the theme for a range of products. 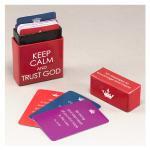 These are 51 double sided, playing card sized, inspirational messages in a box. Give all at once to draw from for inspiration, or keep a box to tuck an encouraging message into a lunch bag, briefcase, travel bag, pocket or purse, or to pass around to anyone in need. 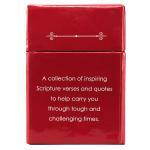 Your small gift will be received with smiles and gratitude for your thoughtfulness. 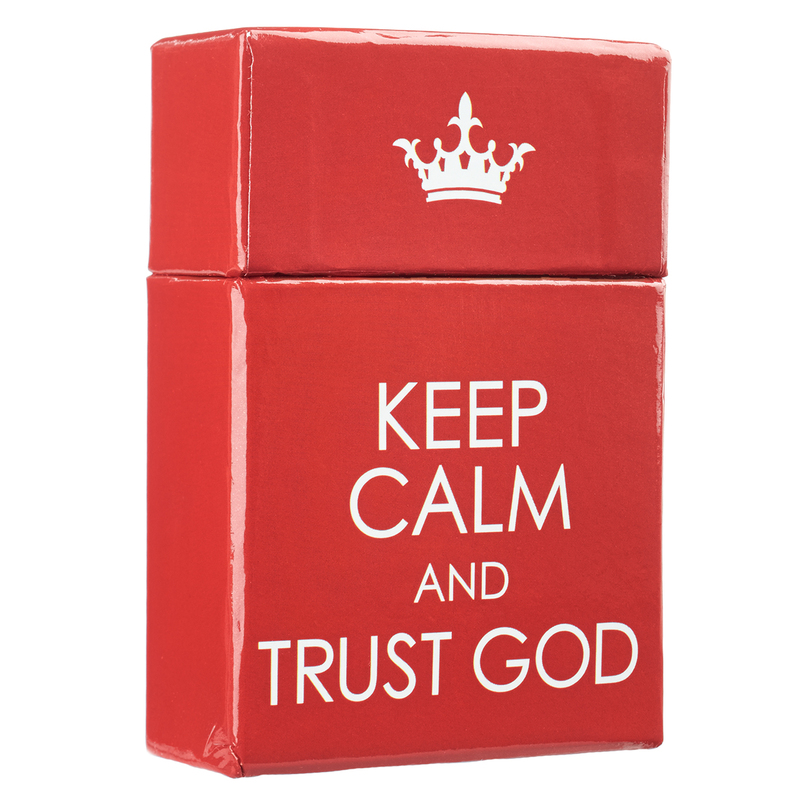 Box of Blessings - Keep Calm & Carry On by Christian Art Gift was published by Christian Art Gifts in January 2010 and is our 369th best seller. 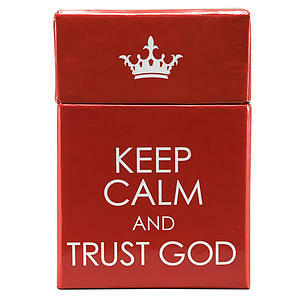 The ISBN for Box of Blessings - Keep Calm & Carry On is 6006937117631. Got a question? No problem! Just click here to ask us about Box of Blessings - Keep Calm & Carry On. Hi my friend is facing a double mastectomy in 2 weeks. Wanted to get her something she can be reminded of God's love and give her hope. I thought about this as a gift for her. Is there anything else that would be suitable too?